The PAW Patrol is on a roll! Join Rocky on an all-new action-packed mission with his Transforming Recycle Truck. Place Rocky in the driver's seat and spin the real working wheels as you head out to save the day! Using the moving forklift that lifts and lowers, you can help the citizens of Adventure Bay recycle! 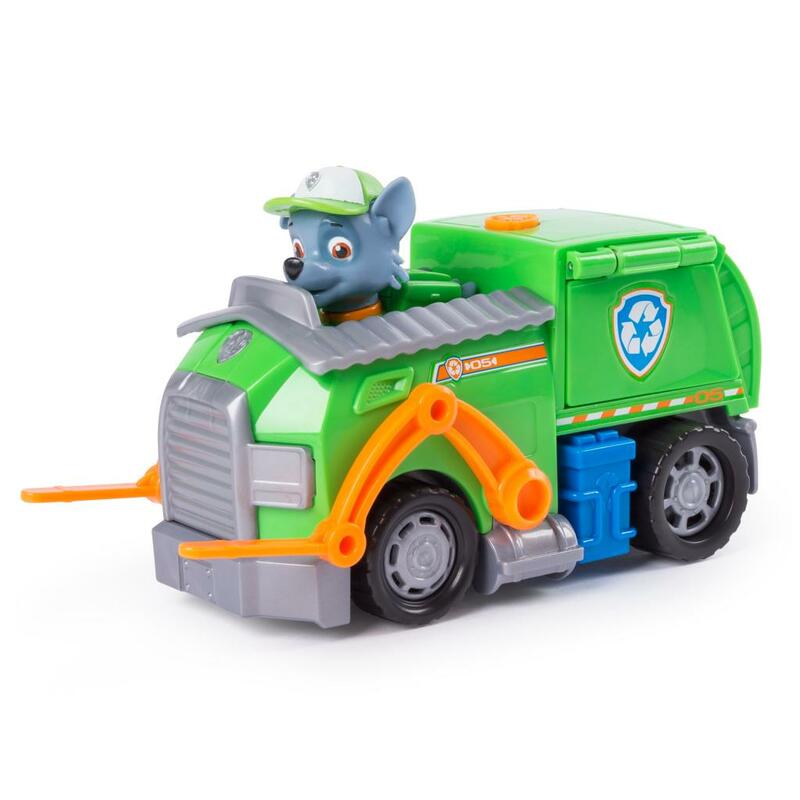 When trouble strikes, transform Rocky's recycling truck into a rescue vehicle by pushing the PAW Patrol badge on the top of the truck. You'll activate the flip-open side doors and extend the claw arms - Rocky to the rescue! 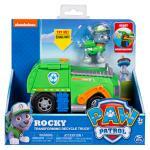 With authentic detailing and realistic features, Rocky and his truck bring all the excitement of PAW Patrol to life. Add the rest of the pups and their transforming vehicles to your collection and go on new missions! Roll to the rescue with Rocky's Transforming Recycle Truck! 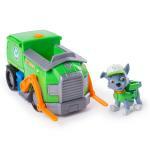 TRANSFORMING TOY TRUCK: Rocky's ready to save the day in his Transforming Recycle Truck! With working wheels, moving forklift and a Rocky figure included, this truck is on its way to an exciting mission! 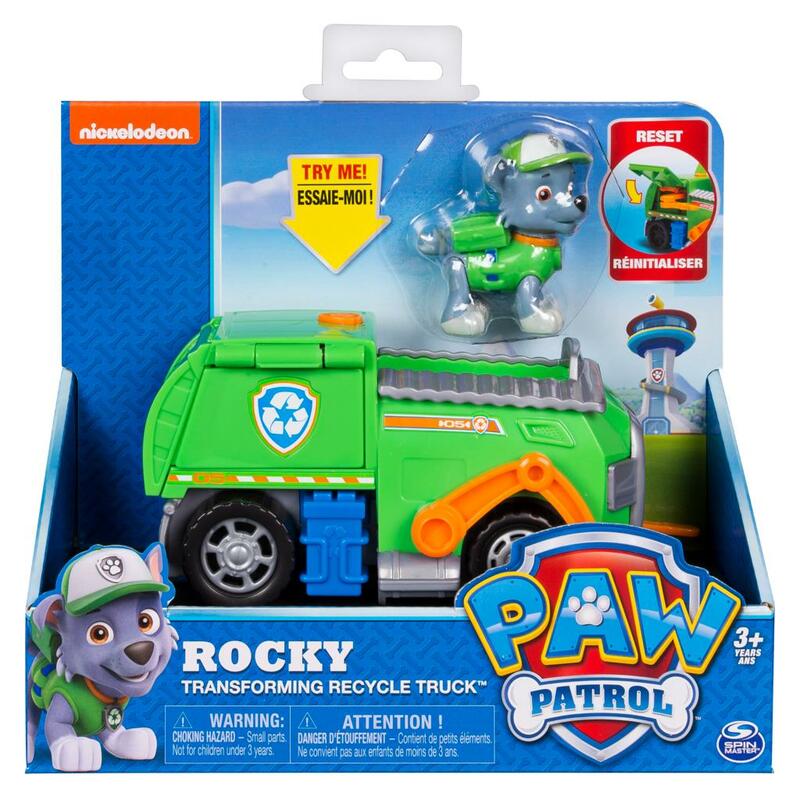 EXTENDABLE CLAW ARMS: Push the PAW Patrol Badge on the back of Rocky's truck to flip open the side doors and pull out the extendable arms! Use them to move objects out of the way and rescue the citizens of Adventure Bay! 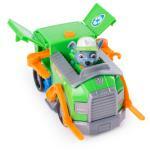 MOVING FORKLIFT: Rocky's Transforming Recycle Truck comes with a forklift that moves up and down! Use it to pick up heavy loads and help Rocky recycle! Rocky's Transforming Recycle Truck is a great gift for kids aged 3+. 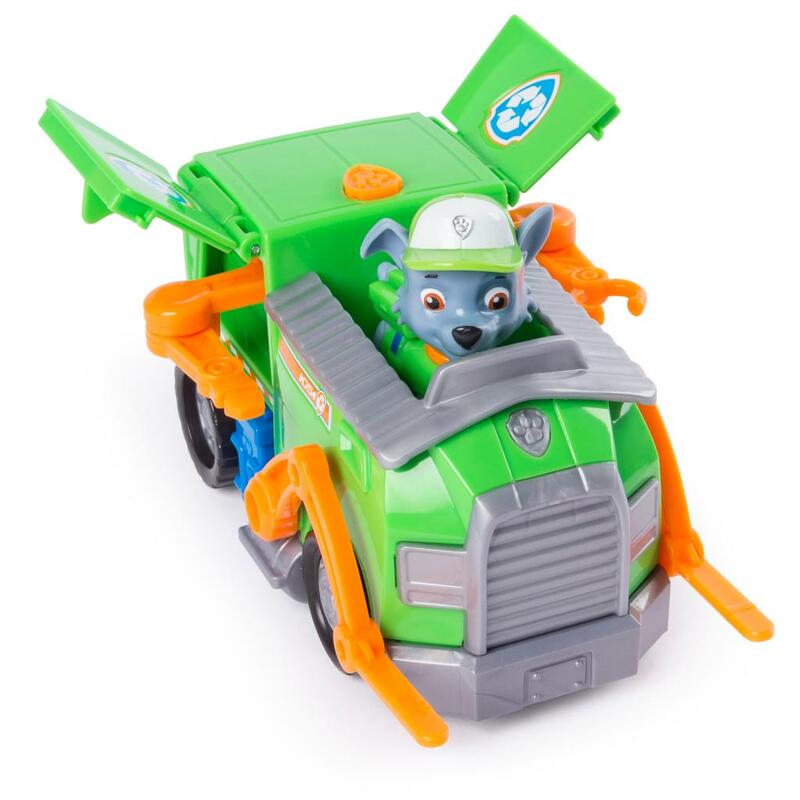 Add the rest of the PAW Patrol's transforming vehicles to your collection and recreate the world of Adventure Bay at home!